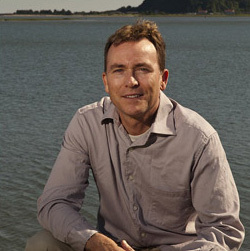 Dr. Daniel Lundquist received his DDS degree from Indiana University in 1995. Several years prior to dental school, Dr. Lundquist had received training to become a dental technician. Little did he realize at the time, how valuable this training would become for his dental school training and the practice of dentistry. After working for a short while for other dental offices he began a practice in Vancouver, WA where he practiced for 10 years. In 2008 Dr. Lundquist began practicing at his current location in Ilwaco. Dr. Lundquist believes that continued learning is vital to the practice of dentistry. Among his years of continuing education in dentistry he has attended the prominent Pankey Institute where he has received advanced dental training. In his off time, Dr. Lundquist enjoys being with his wife, Daliah and their three sons, Darren, Ryan and Colin. Other personal interests include gardening and surfing the local beaches when he gets the chance.